Obviously the olam reading this blog and making posts doesn't need chizuk in this inyun. However it's important I think to post this story in order to show people the importance of being m'chazak others in this inyun. I was by a family Simcha the other night and was sitting next to a friend of mine (also my shvers good friend) who I would say is from one of the best sofrim in Eretz Yisrael. His csav is unbelievable. His yedias in the halachos and of course Yiras Shamayim (as he ate the food there by the simcha he made every bracha b'kavana, reading from inside of a small card he carries with him) is "top notch". He told me recently that someone he knows, a chashuva talmud chocham that says shiur in gemorah, was becoming a sofer. He had already learned to write, was learning the halachos and as he said had already starting writing mezuzahs. I asked if he had a teudah, He said he was pretty sure that he did, until something happened. This person received from someone else an old sefer Torah that they wanted him to be magia. In the middle of it, he came to my friend and said "You know, I was learning Keses HaSofer Siman daled and didn't even know that you have to actually say that you are writing "l'shem kedushas sefer Torah". My friend asked "well, do you remember the places you made corrections in the sefer Torah" ... "Not so much, I made probably 10s or 100s of corrections so far." IT IS IN OUR HANDS TO REQUEST "TEUDA BETOKEF"
The vaad has a sticker system which ensures the teuda is betokef. mehudar mezuzos get gold stickers others get silver stickers.It saves me so much agmas nefesh. 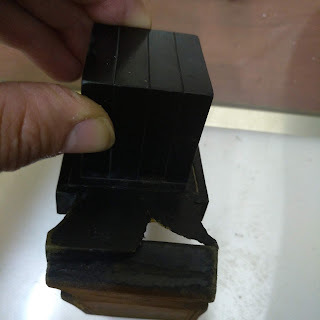 I once heard from rav shammai that bedieved it is ok if he had in mind that he was fixing a sefer torah (and not stama) as this would be considered machshava since the nature of the tikunim are only for stam and not stama so in his subconcious he n=knew he was doing it kleshaim kedushas stam which is like lishmah bemachshava. However I don't know if this helps for shaimos. Were the tikunim in a way that without them, the letters and sefer Torah would anyways of been kosher? I think it is a problem. If he was given the Sefer to fix, and he fixed one letter that was previously 100% pasul...and he doesn't know where it was, isn't that problematic?! 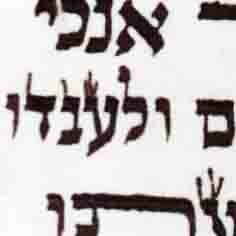 I'm just wondering, would you ever buy from a Sofer who knows halachot, writes well but doesn't have semicha? Elad you just touched on a raw nerve_We should all get up and make a major scandel.80 percent of the sofrim -with ksav kabala do not know in which chelek of shulchan aruch they can find hilchos sefer torah.The latest problem is מקצת האות על הקלף ומקצת האות על המטלית. What is "The latest problem is מקצת האות על הקלף ומקצת האות על המטלית." What happened, It sounds interesting? I think this touches on an issue I notice as a "student" of safrus (not yet an official Sofer). The soferim focus on shimush regarding the technical aspects of writing, corrections etc. but there doesn't seem to be a formal system of teaching or learning the halachos (of course during my shimush many halachik issues come up and are discussed but not in a formal way). I was basically told to learn the mishna berurah chelek lamed beis and lamed vav and the Kesses until "about" siman yud daled, now I am left on my own to learn it all (and learn it right). The more I learn these halachos the more nervous I am about the state of safrus since many of things that can passul stam can never really be checked after the fact. 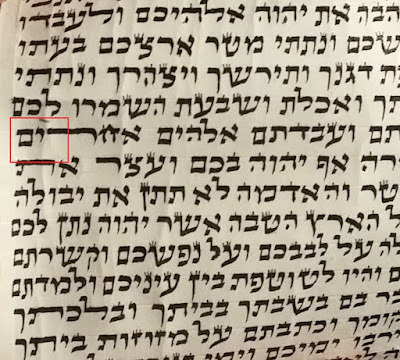 Regarding the the problem mentioned in the original post by Yehoshuah, I think that every Melamed of Safrus should make every Talmid sign on a note that he will not write or be Magia STa"M untill he gets a Ksav Kabala.